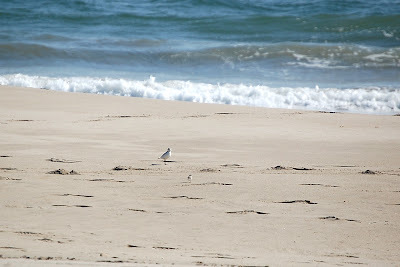 Tom and I hiked around the beach and got to see lots of birds on Saturday. 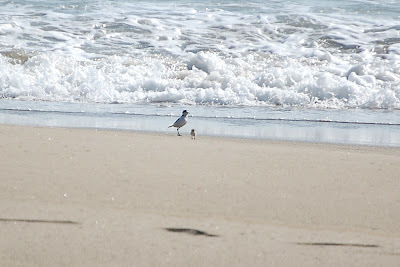 We hoped to see snowy plovers again and got our wish - we even got to see a baby! (Click on the pictures below to enlarge them and you'll see it.) (Lucky for us the birds don't stay within the fences!) Click on the title of this post to see more pictures of what we saw. 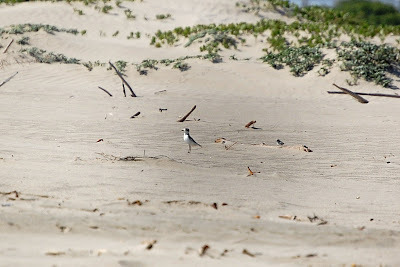 Besides the snowy plovers, we got to see other birds and even saw dolphins swimming by - we really do live in a fabulous area!